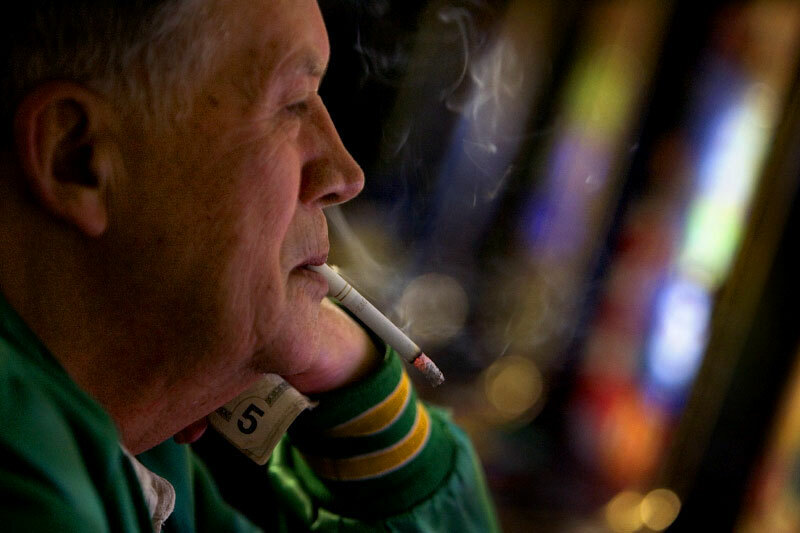 Ed O'Nail concentrates as he gambles electronically in the Corner Lounge in Corning, Ohio. In the 2006 election, Ohioans voted down the "Learn & Earn" bill, which would have created scholarship money for higher education with profits from Ohio casinos. Electronic gambling is legal in the state and controlled by individual counties.